Travelling around Taiwan has never been easier with trains and High Speed trains! There are 2 types of train services in Taiwan, THSR (high speed trains) and normal (...and panoramic) trains! ► The modern THSR trains speed up to 300km/h and can take you across the western side of Taiwan, from Northern end Taipei to Southern tip Kaohsiung. Taroko Express - 太魯閣號 ( Chinese ) - Taipei to Hualien. Limited stops. Tze-Chiang (Express) - 自強號 ( Chinese ) - All around Taiwan. Stops at most common stations. Chu Kuang Express - 莒光號 ( Chinese ) - All around Taiwan. Stop at all stations. Will entitled to ride on Taiwan Railways Trains Chu-Kuang and Fu-Hsing trains, plus 2 of these days designated to Taiwan High Speed Rail travel. With the Express Pass, you will get the option to make seat reservations for the trains and the chances of taking Taroko Express and Puyuma Express when seats are available! Will entitled to ride on Taiwan Railways Trains Tzu-Chiang trains. Within the 5 days you will also be entitled to ride on THSR trains for any two days. Will entitled to ride on unlimited number of THSR trains for 3 consecutive days. From the National Palace Museum in Taipei to Sun Moon Lake in the central region, then on to the Liuhe Night Market in Kaohsiung. Have fun traveling to major scenic spots in Taiwan's the Western region. 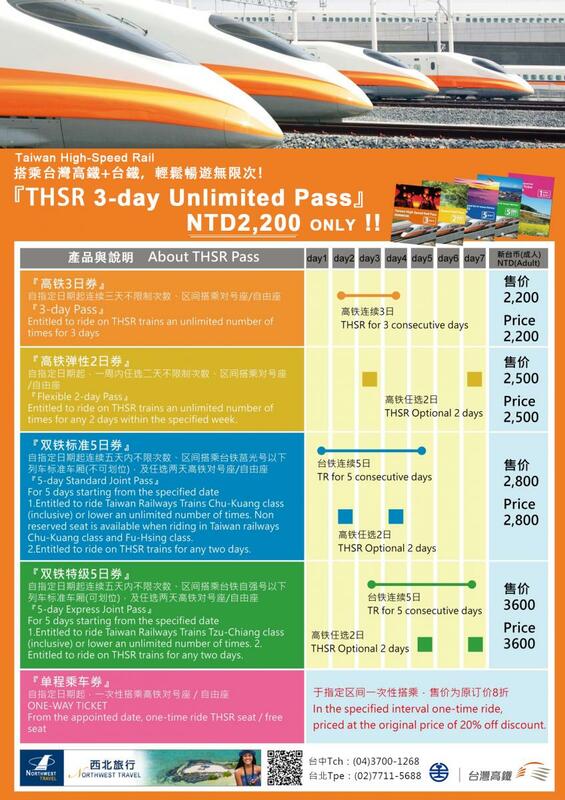 ► 2 DAYS PASS (Flexible): Will entitle to ride on unlimited number of THSR trains for 2 days within a specific week. ► ONE WAY TICKET: Valid on any THSR train with 20% of discount on the original price. Taipei, the capital of Taiwan, sits at the North of island and holds the center of economy, politics and culture of the country. 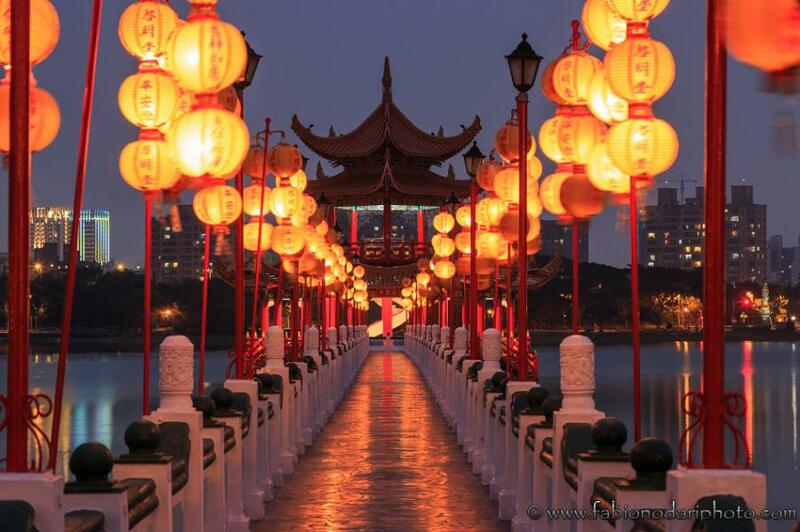 After the influence of Qing dynasty and the Republic of China, Taipei is one of the major hubs of the Chinese-speaking world. 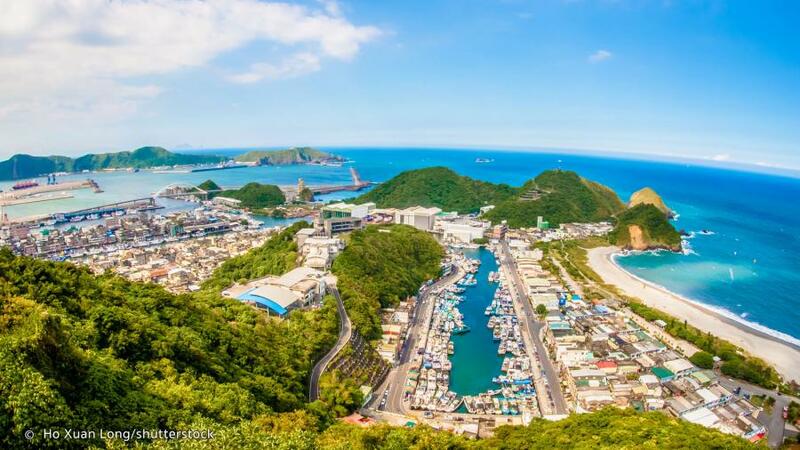 It is about 25 km southwest of the northern port city Keelung and 40 km northwet of Taoyuan International Airport. 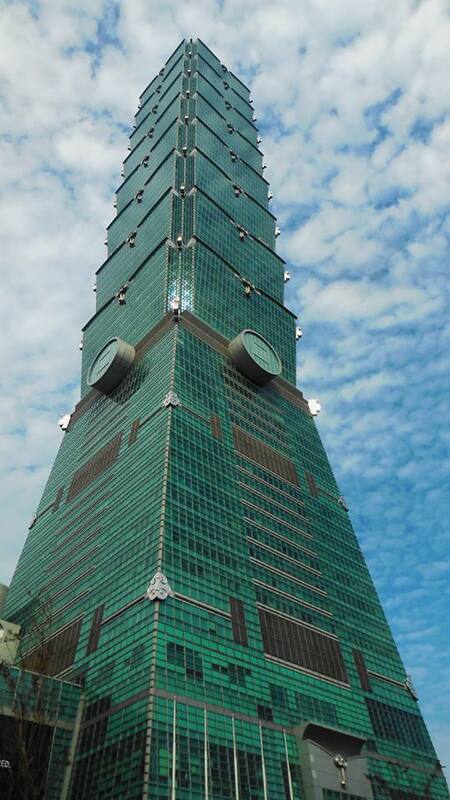 Considered to be a global city, Taipei is part of a major high-tech industrial area and also home to various world-famous architectural or cultural landmarks. Yilan offers a welcome escape from the urban bustle! “The extraordinary Mother Nature has created countless beautiful scenery” facing the sea on Taiwan's Northeast Coast, Yilan has a unique geography and is home to Asia's second longest highway tunnel, the Hsuehshan Tunnel. From natural environments and cold and hot springs to a wealth of ocean recreation resources and verdant country scenes, Yilan offers the perfect setting to relax and enjoy the nature! Splendid landscape has enriched the pure beauty of nature in Hualien. In recent years, many agricultural areas have transformed into tourist farms. Indigenous ceremonies are being open to public, and farming and fishing villages welcome people to come experience organic lifestyle. Hualien has become more dynamic than ever and is sure to surprise you every time you visit. Strolling in the midst of Carp Mountain, wading in the Pacific Ocean, mountains cut through the heart of the city, and at the end of the horizon emerges the sea. Whether you choose to check the valley, drive along the coastline, take a boat to see the whales, take a plane to the remote islands, soak yourself in the hot springs, or just simply take a stroll in the beautiful views and a taste the wild vegetables, all options are in the best choice destination - Taitung! Kaohsiung is Taiwan's third largest city and its largest port in Taiwan. Although is famous for being an industrial city it offers several nice spots and a vibrant night life! Kaohsiung offers scenic mountains, ocean views, rivers as well several artistic area, cultural, and historical attractions. It's also the best starting point for those who continue their trip to the Southern coast of Kenting. Taichung is located in the west-central part of the island of Taiwan. 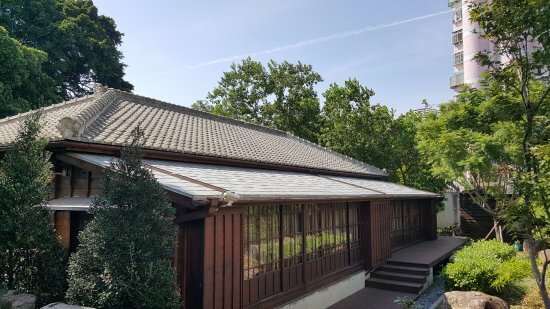 The weather is mild and temperature with few raining days per year thanks to the Central mountain, that "protect" Taichung from storms, typhoon and heavy rain. Taichung ("臺中" or "台中"; literally "Central Taiwan"), officially known as Taichung City, si the second largest city on the island after Taipei. Taichung is famous for its night markets with local food specialities and offers plenty to satisfy one's thirst for art and culture! Don't miss the Taichung National Teather and Miyahara. Tucked away in the hills of northern Taiwan, there is a place that use to be an unknown mine coal... but not anymore! Houtong exemplified the decline of a once-prosperous coal mining village and become today a cat lovers tourist attraction! 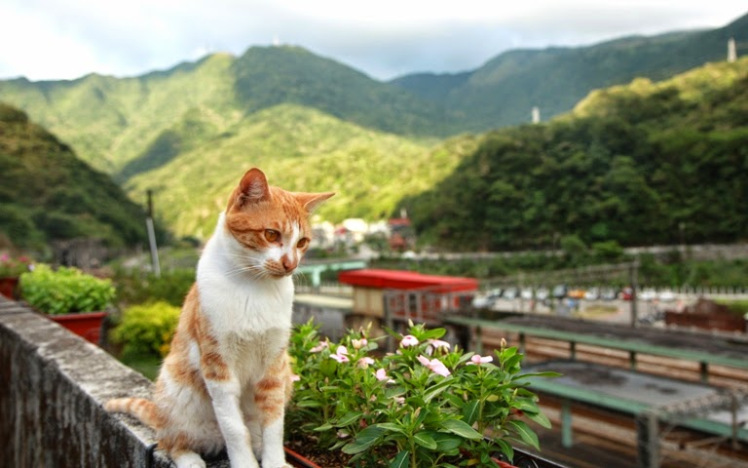 In 2008 a local cat-lover organized volunteers to help take care of the village's stray cats. As photos of the cats circulated online, the tourist industry has emerged with shops, cafes and restaurants. A cat haven cat houses, cat sculptures, cat murals, cat-shaped food, a cat-themed walkway and many cat-bars! Step 1: Contact Northwest and provide the copy of your passport. You will need to specify which kind of pass you need or the desired route for the one way tickets. You'll be given an Exchange Order that requires ticket redemption at any THSR Ticket window. (Remember to show your passport and to redeem it within 90 days of purchase date). The validity period for Taiwan Railway is calculated for 3 or 5 consecutive days starting from the first date (inclusive) you board the train. Step 2: Get your ticket for Reserved Seat - free, better book at the counter in advance! /Non-reserved seat (Any time of the chosen date) at the counter. ⇒ Reserved seat: A seat number can be reserved at the THSR station counter by presenting your passport and THSR Pass at no additional charge. After you have successfully reserved a seat, the seating information will be documented on the inner page of the THSR Pass, please take your seat as indicated on the specified train. ALWAYS bring your passport with you when you travel on the trains. Visitors purchasing this product are required to present their passports at the time of exchange, seat reservation and boarding. The information in their passports must match the identities of the purchasers. For those who are first timers, make sure you do your research properly first. The train lines can be confusing. Our Staff is here to help and provide with all the information you need. Please remember that each train connect a different part of Taiwan, so it will be necessary to make your plan before buying the pass. Limited to foreign visitors holding tourist Visas valid for 6 months or less. IF You are VISA-FREE tourist valid 90 days or less in Taiwan, purchases must be made from overseas agents or THSR PASS Website. Children's Passes are available for purchase for children over 6 years and under 12 years old. Or contact us through our FB page.